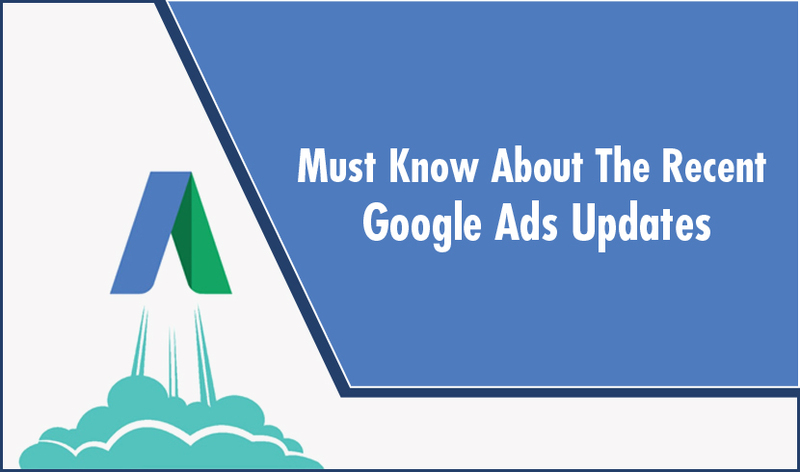 Google adwords was rebranded as google ads in 2018. last year there were massive changes on google adwords done, right from its interface to ad formats of campaigns. The alpha version of AdWords is not in use any more. Though only 3 months have passed in 2019 but the rest of the year will see better improvements in google ads experience. Google is trying it's best to push the video ads for a better audience experience. Call to actions in video ads is of great use to the businesses because people usually watch the whole video and then wait ,but with call to action present people can direct to the landing page before the video ends. The display campaigns have got pay for conversions bidding options in display campaigns. This feature was launched in 2019 only giving more options for advertisers to optimize the campaigns and generate more revenue from it. Google ads have launched responsive search ads for search advertising campaigns where you can add as many headlines and descriptions giving advertisers ample of options to explain the product. The headlines and descriptions rotate randomly to show ads to maximum people. After typing these ads the strength of these ads is also shown whether it is good, average or poor giving a brief idea to advertisers how their ads are. Impressions (Absolute top %): this basically means how much % of your impressions are ranking as first ad position. Impressions (Top)%: basically, refers to % of impressions that are between 1-4 position. Search (Absolute Top) IS: Impressions received from absolute top ad position is divided by number of impressions eligible to get the top spot. Goal based selection has made easy for advertisers to prioritize their goals. There are many options such as sales, leads, website visits, branding & app promotion because the campaign type is given to you as per goal selection. This a great step to make the campaign more user friendly. target impression share helps you optimize the impression that you want to set for a particular ad. For example, if we set target impression share for a keyword to 100% then the ad for that keyword will be shown each time. Announced by google in 2018. This tool was designed to break up the videos in sequences or steps that at various stages plays a key role in creating brand videos rather than single ad that people ignore. There has been a lot of changes in responsive display ads now in the recent updates. You can add 5 headlines and description in your ads and add up to 5 videos giving advertisers ample of opportunities to reach maximum people. This gives you the idea of the strength of your ad, whether it is good, average or bad. Ad pods means watching the entire ad sets before viewing the videos. With this the video becomes ad free for the entire duration. This plays an important role in keeping the viewers around the ad for a longer period without pausing their video. As per a recent research, video with ads keep irritating people and disrupting the viewing experiences.